Heating your home in the winter can be a real challenge when the temperature drops down below freezing. And it can be especially challenging when you have windows with frames that don’t hold heat in and insulate your home as well as they should. In fact, you could be losing a significant amount of heat and driving your heating costs up in the wintertime if you have certain types of window frames in your home. Many people have window frames that are made of aluminum or metal and they are, by far, the worst kinds of window frames to have in the winter. These types of frames conduct heat very quickly and do not insulate your home very well. Metal window frames can be sapping warmth from your home, making your heating system have to work harder – and burn more fuel – to keep your home warm. Composite frames, which are made out of composite wood products, and wood frames are both better options than metal frames when it comes to holding heat in. These window frames also offer a nicer aesthetic look much of the time, but come with the drawback of expanding and contracting depending on what the weather is like outside, which can cause heat loss throughout the day and night. The U.S. Department of Energy recommends that the best option for homes in cold-weather climates is fiberglass or vinyl. 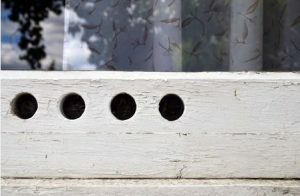 These styles of window frames create a complete seal and can be filled with insulation to offer greater resilience from the conditions outside. They are thermally superior to other options and will offer the greatest performance in even the toughest winter conditions. If you are thinking about replacing the window frames in your home to combat the cold this winter, Weather Tite Windows & Siding can help you do it. We specialize in window and siding repair and would be more than happy to check out your current window frames to see how you can preserve more of your heat in the future. You could start saving money immediately with window frame repair or replacement and drastically improve the comfort level in your home in all seasons. Call us at 570-424-8891 today to schedule a consultation.